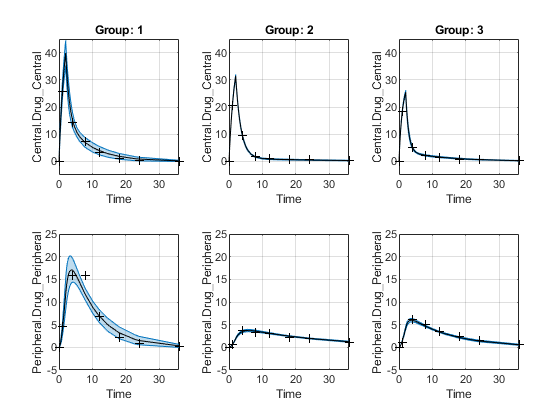 The ParameterConfidenceInterval object contains confidence interval results for the estimated parameters computed using sbioparameterci. ci = sbioparameterci(fitResults) computes 95% confidence intervals for the estimated parameters from fitResults, a NLINResults object or OptimResults object returned by sbiofit. 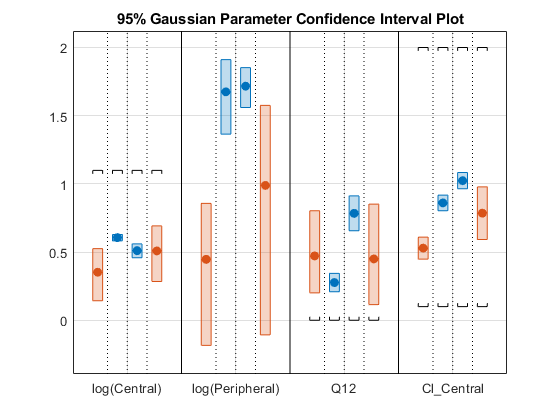 ci is a ParameterConfidenceInterval object that contains the computed confidence intervals. 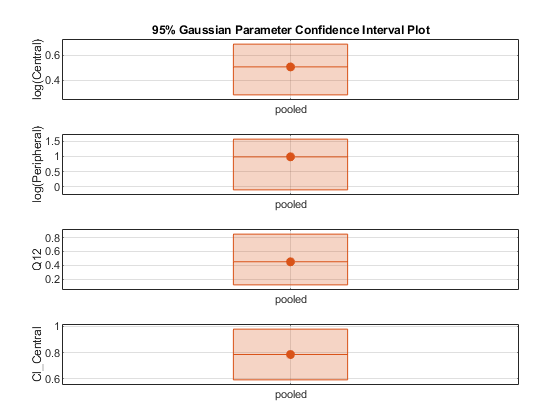 Confidence interval type, specified as 'gaussian', 'profileLikelihood', or 'bootstrap'. If the estimation function does not return an exit flag, ExitFlags is set to . 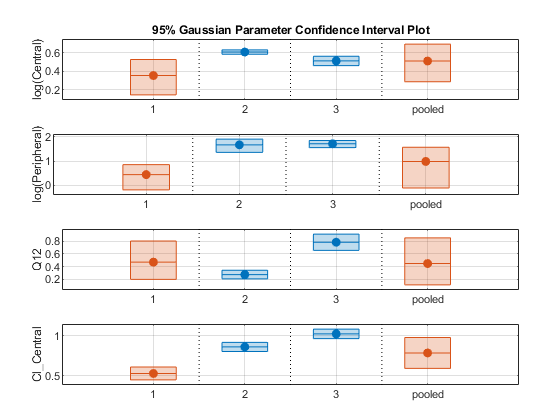 For the gaussian and profileLikelihood confidence intervals, ExitFlags is not supported and is always set to . The following are the definitions of confidence interval estimation statuses for different types of confidence intervals. not estimable – The confidence interval is unbounded. constrained – The confidence interval is constrained by a parameter bound defined in the original fit. Parameter transformations (such as log, probit, or logit) impose implicit bounds on the estimated parameters, for example, positivity constraints. Such bounds can lead to the overestimation of the confidence, that is, the confidence interval can be smaller than expected. success – All confidence intervals for all parameters are computed successfully. estimable – The confidence interval is computed successfully, but other parameters have an estimation status of not estimable or constrained. 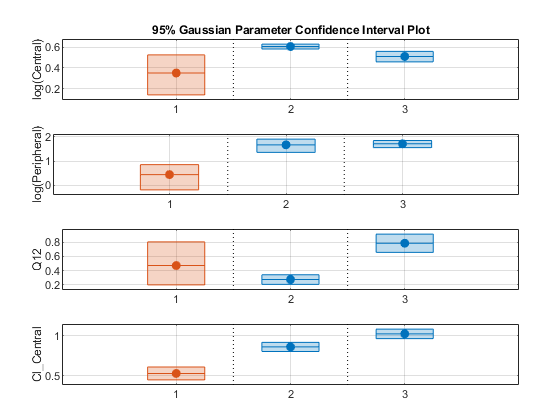 For more details about the algorithm, see Gaussian Confidence Interval Calculation. not estimable – The computation of the confidence interval is unsuccessful. 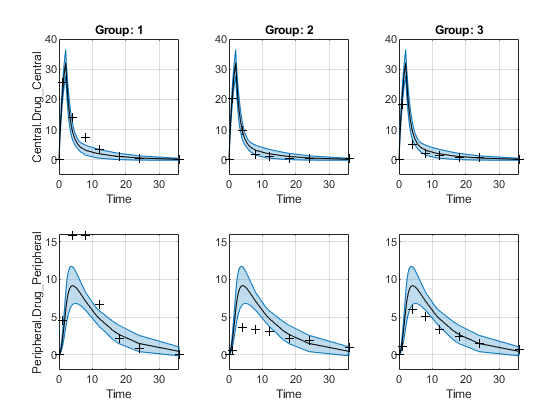 This can happen when the profile likelihood curve is not strictly monotonically decreasing, or due to computation failures in the profile likelihood. constrained – The profile likelihood curve is bounded by the bounds on the estimated parameters defined in the original fit. Parameter transformations, such as log, logit, probit, impose implicit bounds on the estimated parameters, for example, positivity constraints. 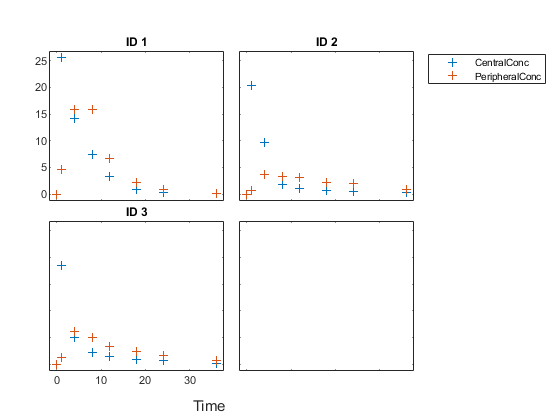 success – If there is no parameter estimate with the confidence interval estimation status constrained or not estimable, then the function sets all estimation statuses to success. For more details about the algorithm, see Profile Likelihood Confidence Interval Calculation. constrained – The confidence interval is closer than Tolerance to the parameter bounds defined in the original fit. success – All confidence intervals were further away from the parameter bounds than Tolerance. estimable – The confidence interval is computed successfully, but other parameters have an estimation status of constrained. For more details about the algorithm, see Bootstrap Confidence Interval Calculation.